Arnold J. Sameroff is Professor Emeritus, Department of Psychology, and Research Professor Emeritus, Center for Human Growth and Development, at the University of Michigan. Born in Detroit MI, he earned the B.S. (psychology) from the University of Michigan and his Ph. D. from Yale University. He has held appointments at the Institute for Mother and Child in Czechoslovakia, The University of Rochester, The University of Illinois and Brown University. Professor Sameroff is one of the founders of the field of developmental psychopathology. His theoretical model brings together biological and environmental risk factors and demonstrates how they work together as causes of developmental impairments in childhood. The Transactional Theory of Development provides a significant advance over earlier models positing single risks as primary causes of impairments. A primary goal is to understand how family and community impact the development of children, especially those at risk for mental illness or educational failure. The theory includes protective factors as well and how these factors play a role in shaping children’s resilience. During a career spanning 50 years, his research and theory are widely regarded as seminal in the field, examining both stability and change as individuals grow and mature. He has established 10 separate longitudinal studies of parents, children and their social contexts that begin in infancy and cover the transition to adulthood. His 1975 review article co-authored by Michael J. Chandler, Reproductive Risk and the Continuum of Caretaking Casualty, has been identified as one of the most influential contributions to developmental science. Professor Sameroff also has served in major professional and administrative roles, including the presidency of Division 7 (Developmental Psychology of the American Psychological Association), president of the International Society for Infant Studies, and president of the Society for Research in Child Development. Among his honors, he served as a Fellow at the Center for Advanced Study in the Behavioral Sciences, Palo Alto, a Fellow at the Russell-Sage Foundation, received the G. Stanley Hall Award from APA Division 7, and was the recipient of the Distinguished Scientist Award from the Society for Research in Child Development. Professor Sameroff has made stellar contributions to the advancement of developmental science, and he continues to be one of the most influential people in the field. His work continues to generate new research and ideas concerning the complexity of human development and illuminates the ways that resilience is shown by those who experience adversity over their lifetime. 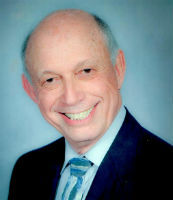 Dennis Eichelbaum, Eichelbaum Wardell Hansen Powell & Mehl, P.C. * The FABBS Foundation would like to thank Dr. John W. Hagen for nominating Dr. Sameroff for this honor and for leading the effort to spread the word about his nomination. Would you like to honor Dr. Sameroff? It’s not too late to have your name added to the list of donors! You can make your donation to Dr. Sameroff’s In Honor Of… campaign at anytime.